Cape Town - Kaizer Chiefs continued their recent dominance over AmaZulu with a thumping 3-0 win as they progressed to the Telkom Knockout quarter-finals at the Moses Mabhida Stadium in Durban on Saturday night. George Maluleka opened the scoring with a sublime 31st minute finish, before two goals in the space of three second half minutes killed the game as a contest. Hendrick Ekstein's deflected effort trickled in after 55 minutes and Siphiwe Tshabalala, fresh from his recent Bafana Bafana recall, capitalised on an error minutes later to seal the result. It ensured Usuthu were still searching for their first cup win over Amakhosi for 25 years, whilst they also remained without any kind of win over the Soweto side in more than a decade. Cavin Johnson's side will be kicking themselves after reflection. Rhulani Manzini had an excellent chance after four minutes when Jabulani Ncobeni's deflected shot fell into his path eight yards out on the left, but Itumeleng Khune was quick to smother the shot. Midway through the half, Tshabalala had a shot deflected over, before another golden opportunity for the hosts seconds later. 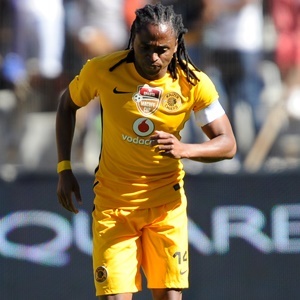 Former Amakhosi striker Mabhuti Khenyeza collected a cross by Boysen Mbatha from the right on the penalty spot, pulled the ball away from two men and haplessly scuffed wide of a scrambling Khune. They were made to pay the ultimate price for that miss just after the half-hour mark. Tshabalala laid the ball wide to Maluleka, who executed a sublime finish with a dipping 20-yard cross-goal strike that flew over Boalefa Pule into the top corner. Ekstein should have doubled the advantage in the 39th minute when he beat two players, rounded the goalkeeper and dawdled on the ball, allowing Pule to scramble back and make the save as the hosts again escaped. Maluleka then drew another excellent stop from Pule with his 25-yard shot that had to be turned wide five minutes before the break, while new kid on the block, Siyabonga Ngezana, put a free-header wider from Tshabalala's free-kick on the stroke of half time. Chiefs then killed of the game in a three-minute spell before the hour. First Ekstein's shot from a Maluleka corner that was only cleared into the vacant area squeezed past Pule, before an error from Butholezwe Ncube allowed Tshabalala to swoop and power in from close range. The two goals rocked AmaZulu as they then had to cling on for dear life for the next 10 minutes due to the Chiefs wave pouring forward. They did improve thereafter, but Steve Komphela's men saw out the game.